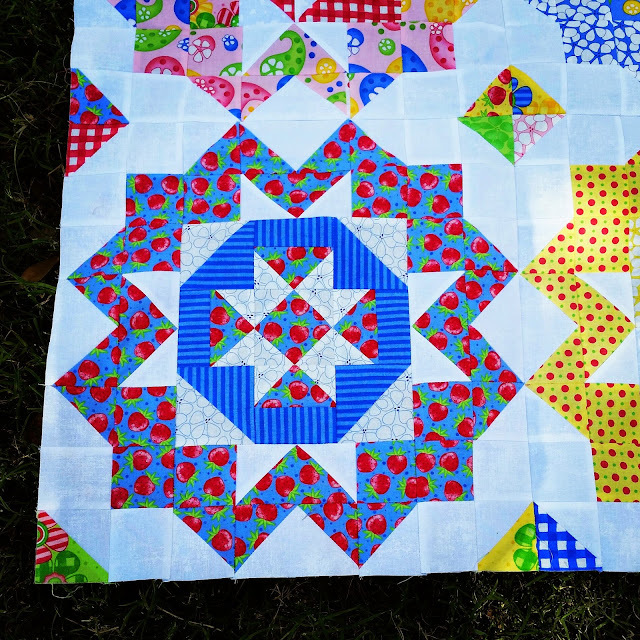 A Quilting Chick: Flimsy Finish Friday! I'm so excited to share this one with you. This is one I finished up while on my blogging hiatus and went out today to get some better pics to share with you! 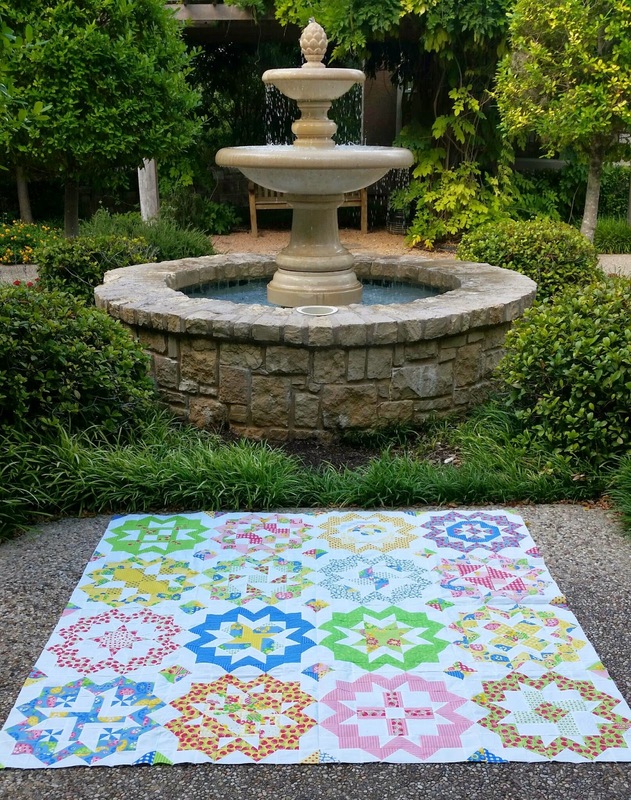 I decided to take the lessons I learned from Melissa and her Star Surround Quilt Along and use the surrounds to frame out my Virtual Quilting Bee blocks. PERFECT!!!! 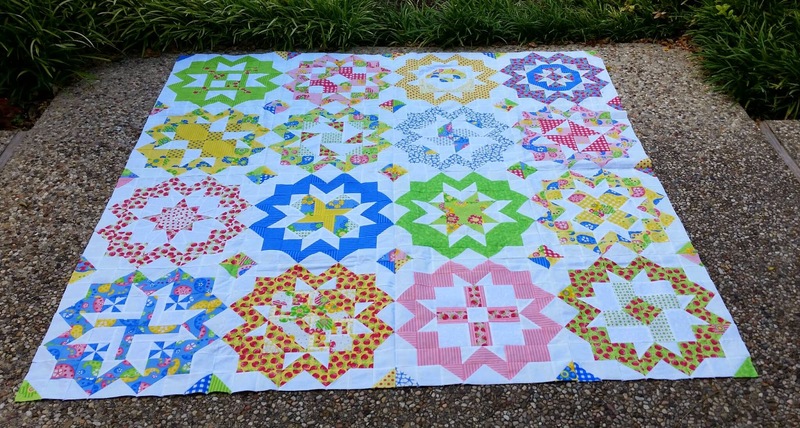 Can you tell I'm in love with this quilt top?? There's a closer look at some of the blocks. You can see where the VQB blocks are in the center of the surrounds. The fabrics are from a fat quarter tower I pulled out of my stash and finally put to a good use. They are Strawberry Lemonade by Me and My Sister. 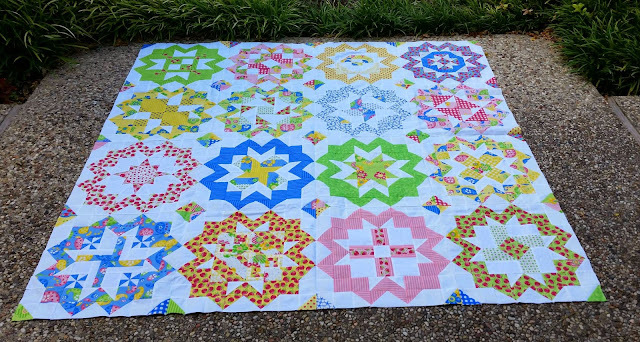 This is actually the second quilt I've gotten out of that fat quarter tower so I think I definitely got my money's worth!!! 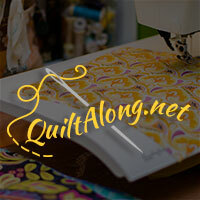 Linking up with Crazy Mom Quilts and Quilt Story and My Quilt Infatuation, and Val's Quilting Studio for her Tuesday Archive party. 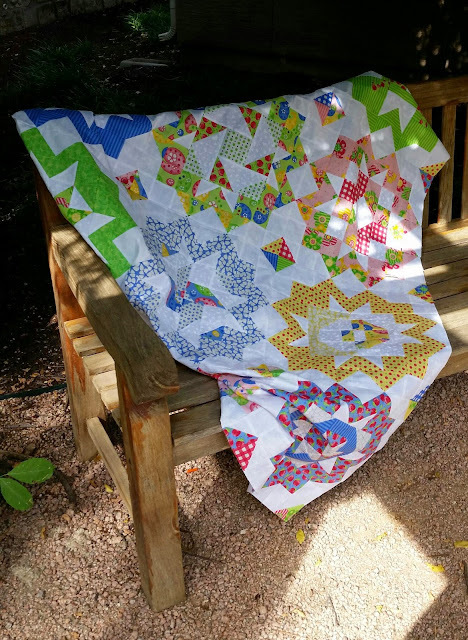 I don't do small quilts either - your idea was a fantastic one and it turned out amazing! I love fat quarter bundles too - so much fabric in those stacks! Oh, you should be in love with this quilt. It is beautiful and very happy. Wonderful job! L O V E it too!! Serious...it's gorgeous! That pattern and fabric compliment eachother perfectly! Can't wait to see what binding you pick! ohh that is such a great idea, I love it. oh WOW! This is a really beautiful quilt top! 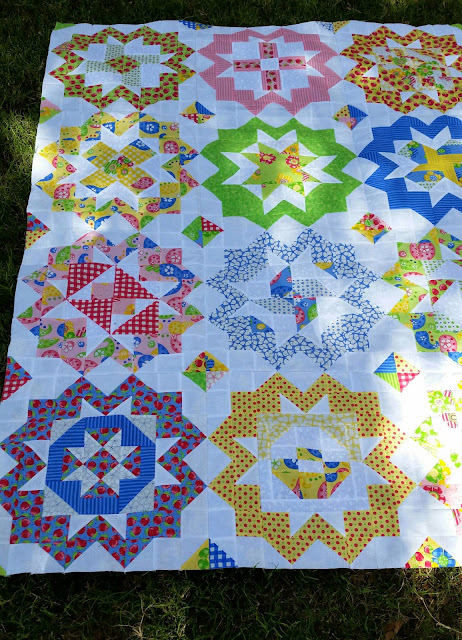 great fabrics, and such a great way to make your blocks work for you! Excellent combination of the two QALs!! Love the way it worked up.